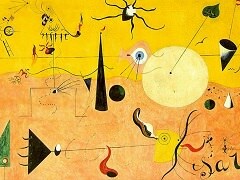 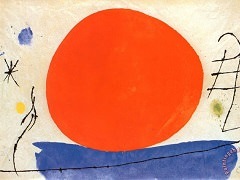 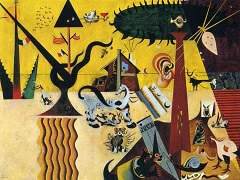 During his last creative phase Miro developed an inventive energy that was almost inexhaustible with regard to his choice of style or his combination of techniques and colours. 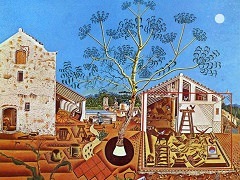 Occasionally he went about it very cunningly and disguised the origin of his material - as he did particularly in his sculptures - whereas at other times he very generously allowed the viewer to fathom the poetic depths of his painter's mind. 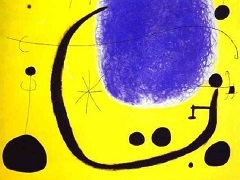 In Woman and Bird, 1960, the heavy texture of the material inspired views' imagination, and here in black and yellow - a whole universe of references has become open to the viewer. 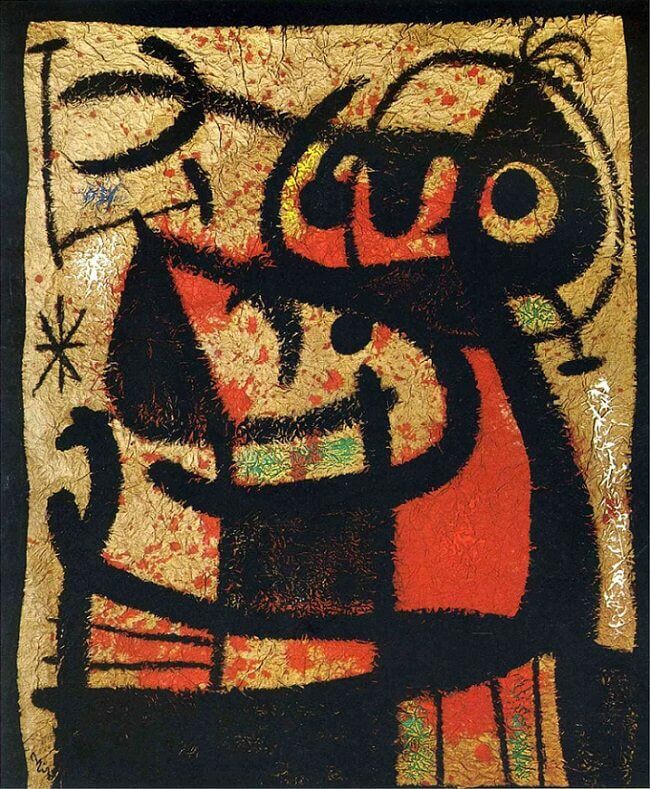 And indeed, it is irrelevant whether the symbols are interpreted in a consistent way and whether one is dealing with a bird, a woman or some other symbol from Miro's repertoire. 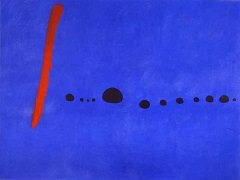 What matters is one's openness and the transparence of one's imagination, "the queen of all skills", which Miro has stimulated so inimitably, by means of his open and transparent choice of material.